Welcome to South Fork, Colorado. This award-winning, five-bedroom bed and breakfast inn in beautiful Southern Colorado offers mountain elegance, unparalleled service and delicious gourmet breakfasts. Whether it’s a mountain elopement, anniversary or birthday celebration, a getaway with friends or a quick pass through, we are delighted to share a bit of Colorado hospitality and to provide an exceptional travel experience for each and every guest. 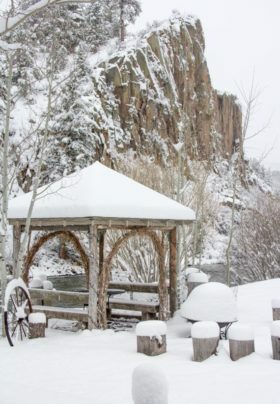 Tucked in the shadow of massive, stone cliffs, this riverfront bed & breakfast on three acres with over 400 feet of accessible river bids its guests to kick back, relax and enjoy the natural beauty of the Colorado Rocky Mountains. Take in the magnificent mountain views in the great outdoors over a morning cup of coffee or an evening glass of wine. Favorite spots include the backyard party deck with canopied hot tub, benches beneath a rustic log arbor, any of three fire pits, and several secluded riverside sitting areas. Our newest addition to the Arbor House Inn is the Cottage on the Creek Vacation Rental. Adjacent to the main inn property and sharing the same beautiful riverside setting, it is a separate guesthouse rental and offers all the comforts of home– the ideal choice for guests seeking a private, extended-stay accommodation. With over 255 miles of trails in the Rio Grande National Forest, the entire area is truly an outdoor enthusiast’s paradise. Seventeen miles of gold medal waters on the Rio Grande, numerous lakes and smaller streams make it a fly fisherman’s dream come true. Just 18 miles up Wolf Creek pass, boasting the most snow in Colorado, is Wolf Creek Ski Area featuring fabulous snowboarding, downhill and cross-country skiing. And for the ultimate in relaxation, the “hot pots” of Pagosa Hot Springs, just over Wolf Creek Pass, offers more than 23 natural hot springs pools of varying temperatures, just the thing for soaking any lingering cares away. 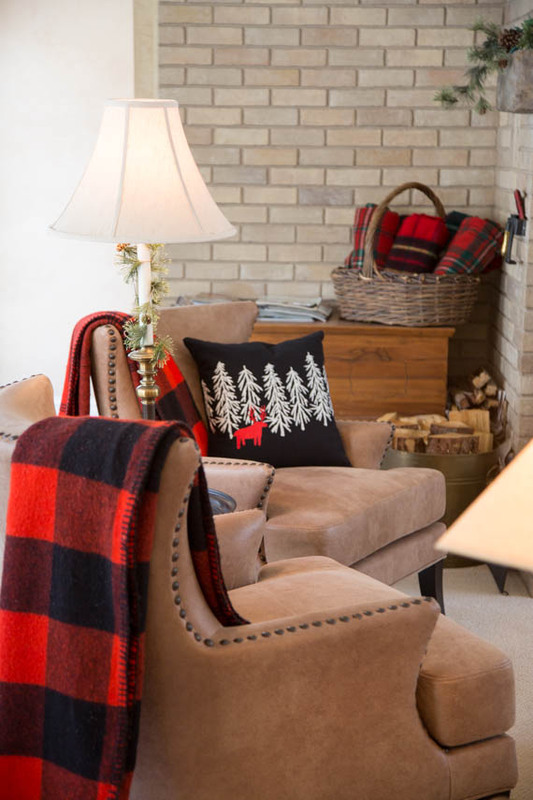 After a day enjoying all that the great outdoors has to offer, guests can come on back to the Arbor House Inn and relax around the fireplace in the comfortable common area or in the vaulted dining room with 180-degree views of the river, cliffs, landscaped grounds and surrounding forests. The main centerpiece of the inn, the dining room features large, two-story windows—perfect for catching a glimpse of local wildlife meandering through on their way to or from the river. Breakfast is served daily in the dining room or al fresco on the deck in our warmer months. Light refreshments are available on the buffet in the afternoon and evening. 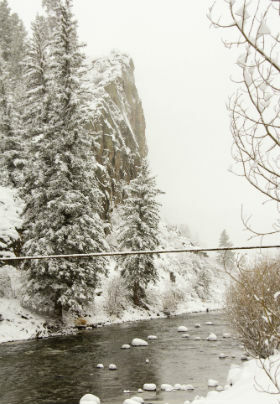 When looking for lodging in South Fork, Colorado, we invite you to come as an individual, a couple or a group and encourage you to be as social or as private as you want to be. As you leave us at the end of your stay, we hope you will depart having made some wonderful new friends and take with you many special memories. We just can’t say enough about our river. Not only do we have our 5 bedroom B&B snuggled beneath the cliffs, we now have the Cottage on the Creek! This is the second full summer we’ve had the Cottage on the Creek available as a VRBO and what a wonderful new addition this two-bedroom vacation rental has been to the line-up here at the Arbor House Inn Bed & Breakfast on the River. Even though the deck steps go directly into the river, we’ve aptly titled it the “Cottage on the Creek,” our extended-stay vacation rental. Perched directly on the river, it features 1300 sq. ft. of peace and relaxation. Large master bedroom with king bed and ¾ bath and a second, smaller bedroom with queen bed and full bath right across the hall is a perfect combination for a couple, a small family, or two couples vacationing together. Fully equipped kitchen and laundry facilities allow guests to totally settle in and get on with relaxing. With a large deck overlooking the river, this little VRBO includes sitting and dining areas and provides an absolutely incredible vantage point for watching the deer dance, the fish flop, the ducks duck, or the hummingbirds hummmm. We have a feeling that the Cottage on the Creek will become one of our guests’ absolute favorite return venues, summer or winter!